Cycas media basaltica (C.A.Gardner) J.Schust. 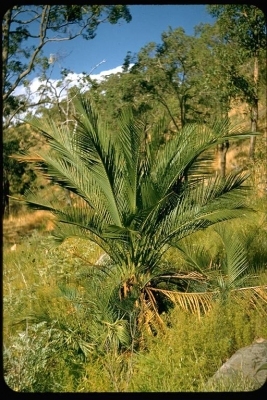 Cycas rumphii normanbyana (F.Muell.) J.Schust. The seed is sometimes gathered from the wild and consumed locally. Australia - eastern coastal Queensland. Usually found on sites that offer good soil drainage, often on sandy soils and on sloping sites.